NEW YORK, United States — Equinox and SoulCycle are joining forces in a bid to unlock the marketing potential of their top fitness trainers. Through the launch of a joint talent management agency, both brands will work with their star instructors to support social media development and follower growth, as well as unlock large-scale lifestyle sponsorship deals. 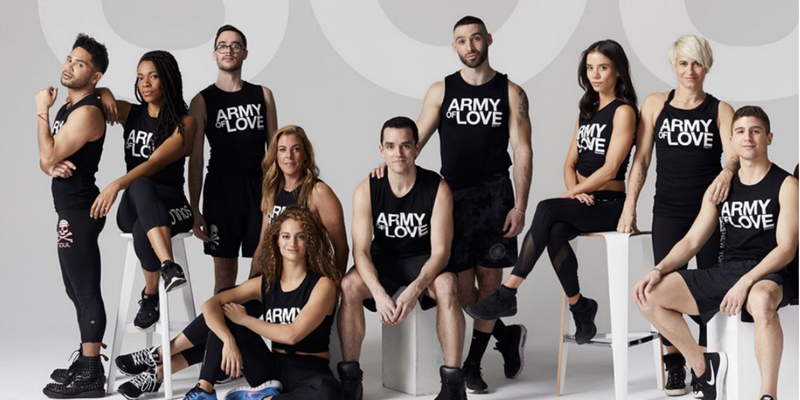 In managing the influence of their standout trainers, it will allow Equinox and SoulCycle to strengthen their own in-house marketing strategies, and boost brand awareness. “If we’ve learned one thing in our 27 years of innovation and leadership, it’s that our people define our experience—and our excellence,” said Equinox Group Executive Chairman and Managing Partner, Harvey Spevak. “While we have always been recognised for the impact that our talent has on our community, our fitness experts will become exponentially more influential with the creation of our talent agency,” he added. Supported by American talent agency William Morris Endeavor, the management agency will launch with a network of employees from across both brands’ global portfolio of fitness clubs and studios. However, the long-term plan is to transcend the Equinox and SoulCycle portfolios to provide group fitness, personal training, instructors and other talent with tools, skills and training, to cultivate their brands, accelerate digital exposure and secure meaningful partnership and sponsorship opportunities. With research suggesting that major brands are planning to increase spend on influencer marketing over the next 12 months, it makes sense for fitness operators to bypass the hefty fees associated with partnering with ‘fitfluencers’ and fish from their own pool of talent instead. A top influencer like Kayla Itsines, who boasts almost 10m followers can charge anywhere upwards of $25,000 for a single Instagram post. But it’s not all about social media engagement. Both the recent launch of talent incubator, PROJECT by Equinox and SoulCycle’s SoulAnnex, which empowers its instructors to develop formats off the bike, leverage the undeniable impact of popular trainers on consumer spend. Both were conceived in part as a response to feedback that customers wanted to spend even more time and money on engaging with their favourite trainers. For SoulCycle, a brand founded on human connection and community spirit, their instructors are the heartbeat of the tribe, explained SoulCycle CEO, Melanie Whelan. “They act as motivational coaches, and the strong bonds they develop with our riders create transformational energy inside our studios,” she continued. With that in mind, it makes sense to support such talent both personally and professionally, not only to retain it but to capitalise on its value more effectively.